Nestle is pulling out of the water bottling plant it was looking at building in Spring or Benner township. A company spokeswoman said Monday that Nestle Waters looks at several factors in deciding where to put a plant. Those include the quality and taste of the water, the sustainability of the site and the logistics of getting the product to market. Eric Andreus is Nestle Waters' natural resource manager for the mid-Atlantic. On Monday, he was in the company’s new Bellefonte office in case anyone dropped by with questions. The Bellefonte school board voted 8-1 Tuesday for a resolution supporting the potential Nestle water bottling facility the company is looking into building in Spring or Benner township, Centre County. Tax revenue, positive economic impacts and educational opportunities were listed as reasons in the resolution the school board approved. Board President Rod Musser is one of those who supports it. 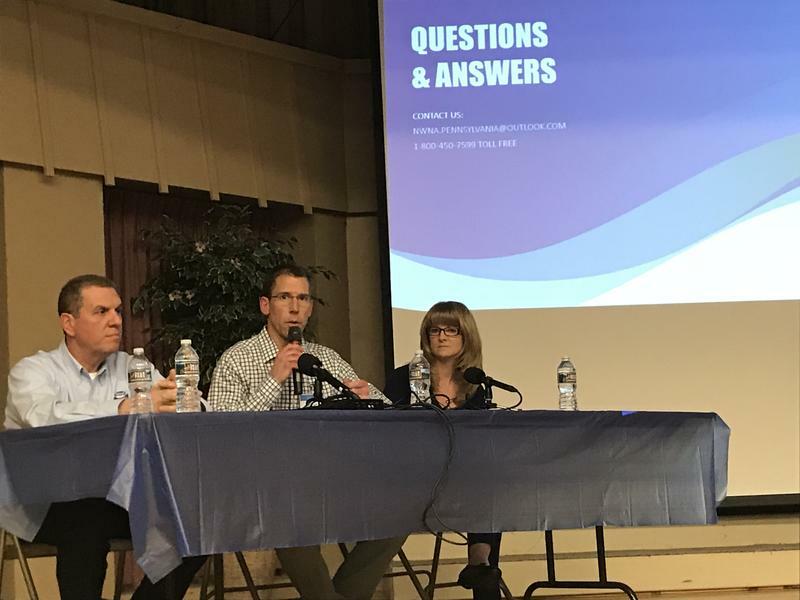 “We have to realize that they will bring a lot of revenue to the entire district, including the state,” Musser said after the meeting.